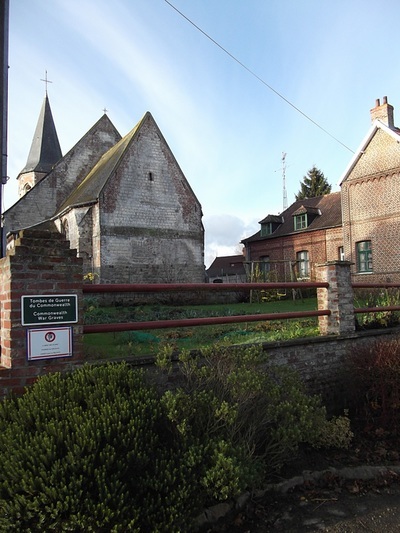 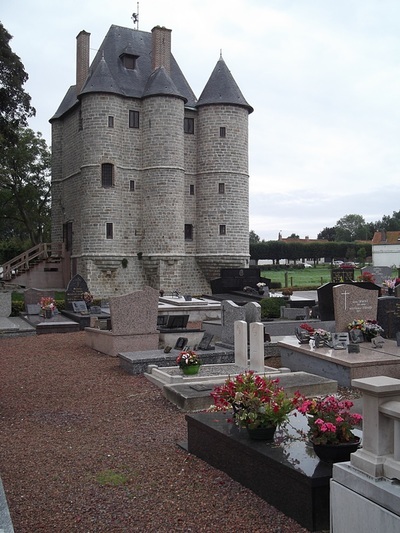 The village and commune of Bours is 32 kilometres north-west of Arras and about 9 kilometres north-north-east of St. Pol, a town on the N.39 road from Arras to Montreuil-sur-Mer. 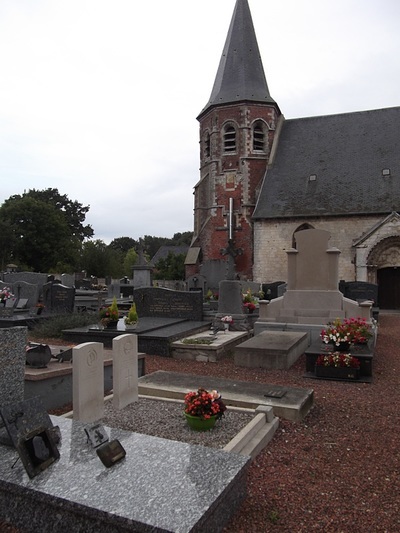 The two British graves are south of the main entrance to the church, and about 12 metres north of the southern boundary. 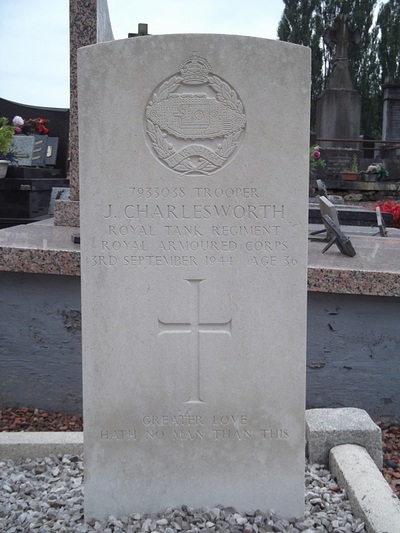 7933038 Trooper John Charlesworth, Royal Tank Regiment, R.A.C., 3rd September 1944, aged 36. 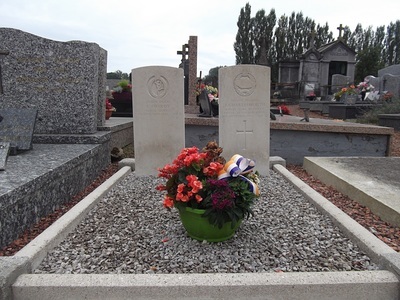 Son of John and Agnes Charlesworth; husband of Winifred Charlesworth, of Redcar, Yorkshire. 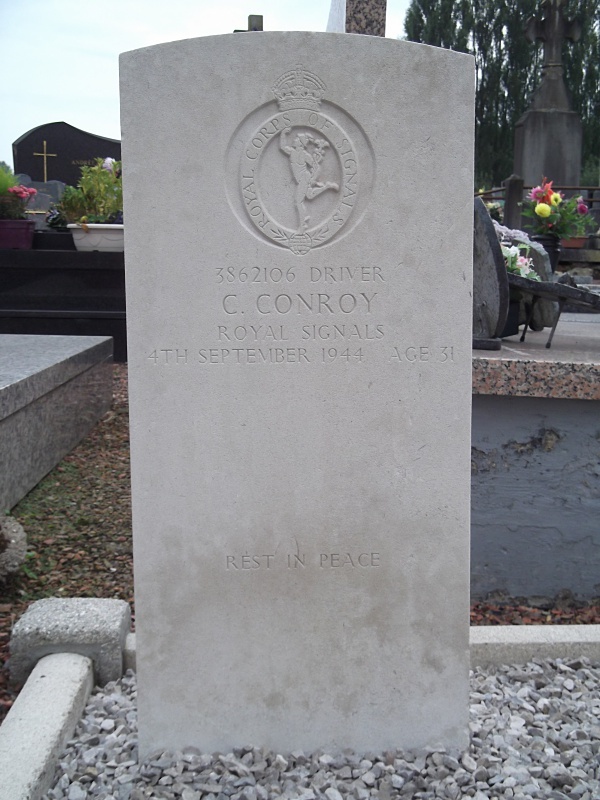 3862106 Driver Christopher Conroy, 7th Armd. Div. Sigs., Royal Corps of Signals, 4th September 1944, aged 31. Son of Christopher and Sarah Ann Conroy; husband of Elizabeth Conroy, of Caernarvon.